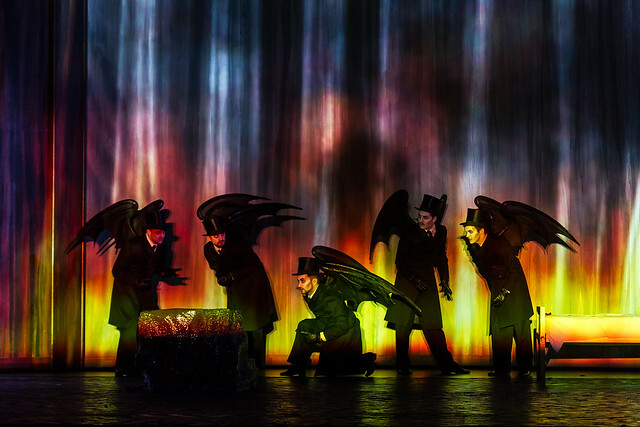 What did you think of Claus Guth's production of Richard Strauss's dark fairytale? #ROHfrau was absolutely incredible; one of the most overwhelmingly and unexpectedly beautiful operatic performances I've seen. Thank you! Woken up with the glories of #ROHFrau still whizzing through my brain. Pankratova's 'Barak, ich hab' es nicht getan!' absolutely fearless. I didn’t understand the very very end of #ROHFrau last night AT ALL. Don’t want to say more about it than that as it’d constitute a spoiler. I was blown away by #ROHFrau tonight. Fabulous orch playing & singing under maestro Bychkov's magic wand. #ROHfrau hilariously overblown, good moments, but the staging is really below par, and doesn't begin to cover the weakness of the music. 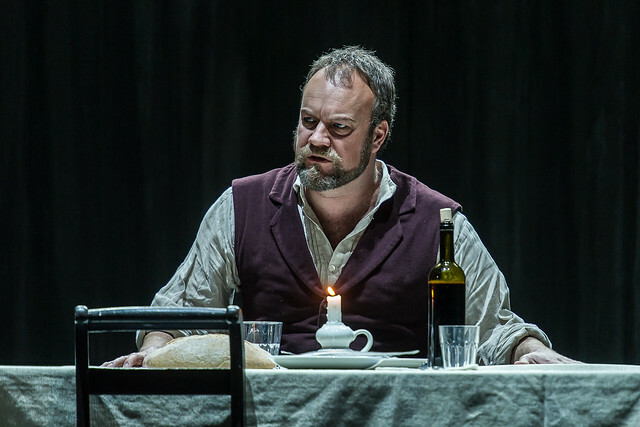 Johan Reuter in best role to date @TheRoyalOpera .Warmly & authoratively sung Barak #ROHFrau. Suffice to say #ROHFrau was an utter triumph... Certainly the biggest ovation I've seen for a new production @RoyalOperaHouse in some time. What did you think of Die Frau ohne Schatten? Die Frau ohne Schatten runs until 2 April 2014. Tickets are still available. The production is staged with generous philanthropic support from Sir Simon and Lady Robertson, Hamish and Sophie Forsyth, The Friends of Covent Garden and an anonymous donor. Staging had its moments, but orchestra and cast divine!! Get a ticket prontissimo! A stunning evening. Fab singing and conducting especially from Emilee Magee. The production was not brilliant but not absolutely horrible like some of the House's previous offerings, Sicilian Vespers and Don Giovanni to name but two!! A revival of Frau with the same cast as soon as possible please. Grossartige Inszenierung! Die beste Produktion einer "Frau ohne Schatten", die ich je gesehen habe! The whole of the musical side last night was of an incredibly and uniformly high standard. Sitting in the front row amphi, the voices came over with exceptional force, and the range of colours from the huge orchestra was breathtaking. I am generally no fan of modern productions, and my heart sank when I saw the first scene, floor to ceiling woodgrained formica and a steel hospital bed. But I have to say this one worked well, made sense in terms of the libretto and music, and in places really did reinforce the dramatic effect. The creative team deserved their applause at the end. The set also had one great advantage, in that the "shell" it placed behind the singers greatly reinforced the sound projection into the auditorium. If I have one complaint, it is that the sound of the offstage chorus sounded electronically amplified and therefore slightly false. And how clever of the ROH to find a tenor for the Emperor who, when turned to stone, did not need to change his method acting at all. As for Bychkov, who actually got the loudest cheer of all last night, and deserved it, what better successor could there be to Sir Tony when he finally departs? Best performance this year and indeed for several years. A great score wonderfully played and conducted (if Pappano ever decides to move on, and I am not encouraging it, Bytchkov is the obvious successor - third or fourth seriously good performance in a row from him), terrific cast, particularly the three ladies (who all turned up! ), and an intelligent production which I would like to see again to tease out more of the allusions. What a wonderful way to celebrate Strauss' 150th. Director Claus Guth has stolen many ideas and details from the recent production of Bavarian Stae Opera, Munich. He is one of the most overrated directors. Since most of his productions play in a mental institution he should be committed to a real one to cure his crazy ideas there, eventually. Guth's staging was unveiled at La Scala two years' ago - Krzysztof Warlikowski's Bavarian State Opera production was new this year, so it's impossible that Guth stole anything from Warlikowski. If you're going to make such contentious statements, it's always best to get your facts straight first. Terrific performance on opening night. The singers all great and I've never heard the orchestra sound so good. Beautiful stage and good cast. Some details could have been better (hawk). Bychkov impecable on the podium. At my advanced age I do not often have the chance to see an "old" opera for the first time. I thought it would be really exciting not to know what was going to happen in advance so did not read Kobbe. The singing and acting were very good but, even with the surtitles, it was impossible to understand what was going on. What do I think of Claus Guth's production? Complete rubbish, deliberately mystifying and misleading an already complicated libretto. Why bother to publish a synopsis in the programme if you hire directors who significantly ignore what the composer and librettist intended? Musically, wonderful. 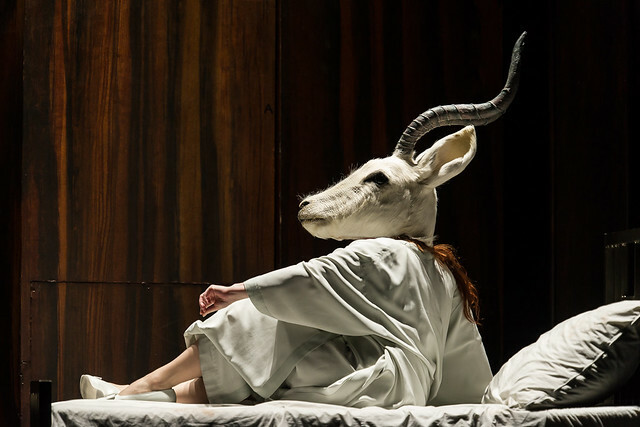 I was so disappointed with this new production - boring and undramatic in its over-layering of a work already full of symbols with more, obscure symbolism and the seemingly inevitable (in trendy "konzept" productions) sickbed and men in white coats. The climax in Act 3, when the Empress defies her father and gains her shadow, was dramatically a shambles. At least it wasn't as offensive as recent disasters (Parsifal and Rusalka, to name but two.) The pleasure to be derived from this new "Frau" is due entirely to the wonderful cast and conductor. This is Strauss's greatest opera and the Royal Opera has done it proud in the previous two productions of the last four decades, but not, alas, in this one. What has the poor Frau done to deserve these latest attacks on her? Christof Loy and now this. If you cant afford to stage this opera the way it should be done don't do it. Or at least don't insult the audience's intelligence by going down the self-indulgent psychobabble route. Where endless program notes are needed before we have any idea why we are in a wood paneled sanitarium instead of outside the emperor's hanging garden.The highlight of any stage magic, that should fill this opera, was a WMYCA bed relentlessly going round on a revolve. Awesome! Watching paint dry? No, this was watching porridge going cold. "WMYCA" ??? - My own psychobabble. Wont need pages of program notes to understand. Should you be highlighting tweets from donors? It's not quite the same as having someone from the staff quoted, but it's a little close. Not that I disagree with his opinion. As members of the website team we have no strong sense of who are the Royal Opera House's donors and I can assure you that tweets are selected for purely editorial reasons. We would of course avoid tweets from members of staff in a reaction round-up, but with nearly 1,000 people working at the ROH it is conceivable that we have included some by accident! I thought this was the best evening at ROH this season. I liked the production and thought the musical performance magnificent. Absolutely first rate! Hope it come our on DVD. Opera must be taken forward by innovative directors or it will stultify Our problem these days is that whilst an intelligent refreshing lies at one end of the spectrum, impenetrable regietheatre lies at the other. I like my opera around the middle and whilst Guth gave us a fair degree of impenetrability there was just enough in his dream world to engage and stimulate. There is insufficient space here to heap the superlatives that are owed to the musical aspects of this production. One of the great nights of the last few seasons. 5 singers all on great form, musically stupendous. I loved the staging, though doing some homework beforehand really helps with the Freud/Jung elements. Spot the Magic Flute and Wagner influences. Wonderful, please bring it back. One of the best operas of the 2013-14 season! Hats off to ROH. Bychkov is one of my favourite conductors and last night he was in top form. Glowing, sweeping music, with an outstanding cast of singers. Loved the production too! May I know if and when this production will be released on DVD or Blu-Ray? No release is currently scheduled, I'm afraid.